Yoga is something that should be practiced religiously before you aim for advanced stages. 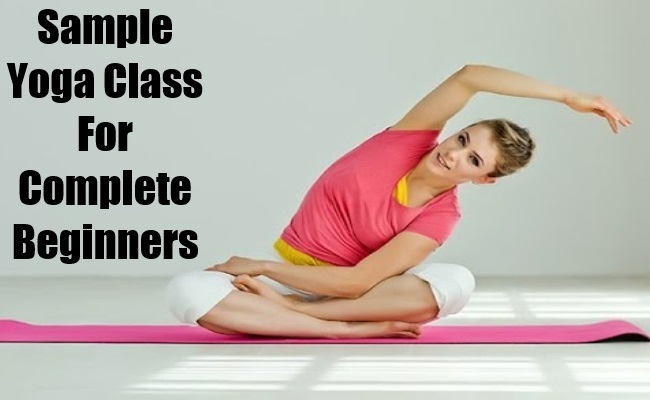 With the yoga classes for beginners, you can get familiar with some of the basic positions and then move on to the next level. This reduces injuries along with health related problems. Once you get these right, move to the next level and intensify your yoga routine. Stand with feet very wide apart. Bend from the right knee and extend body slightly towards that direction. Feet face outwards, raise both hands as you do so. Repeat with the other leg and side too. Stand with feet together and then gently bring your right foot and place it on the left thigh. When doing so, raise both hands above the head. Hold this pose for 20 seconds. Repeat with the other leg. Stand with feet shoulder-width apart, then gently bend from the knees as if you are sitting on the chair. Hold the posture and bring both hands in front of you. Hold for about 30 seconds and then repeat. Fold both hands in front of the chest, with feet together. Inhale and then stretch the folded hands above your head. Bend slightly backwards as you stretch from the spine and stomach. Hold for 30 seconds. For this pose lie down flat on the back. Hands in front of your chest. Raise upper body and lower body together as you do so. Hold and repeat. Stand with feet wide apart, feet outwards. Now bend on your right side and touch your right toe with the right leg. Extend left hand as up as you can and look towards it. Repeat with other leg. Sit with right leg folded and close to your crotch and place the left leg over it in the same way. Now place left hand firmly on the floor and the right hand under your left leg. Twist as much as you can to the side. Repeat the same with alternate legs and hands on other side. Lie down on the floor, with hands close to chest and palms facing the floor. Bring your upper body up and bend back slightly. Hold for about 30 seconds and repeat.